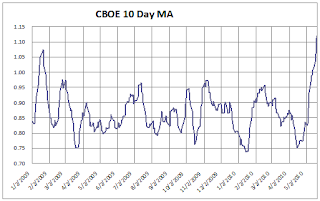 Yesterday I posted a chart showing Rydex traders positioned very bearishly. 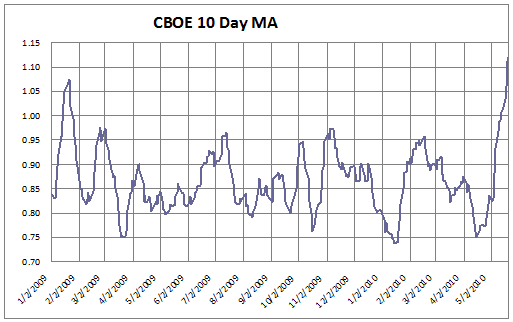 Below is a chart of the CBOE 10 day moving average. As you can see put activity has been running very high. Once market players have already become this pessimistic it is usually too late to sell. I believe there will be a tradeable rally in the coming weeks.